Today, the NWSL announced that Sky Blue FC forward Sam Kerr was unanimously voted NWSL Player of the week for Week 12 of the 2017 NWSL Season. 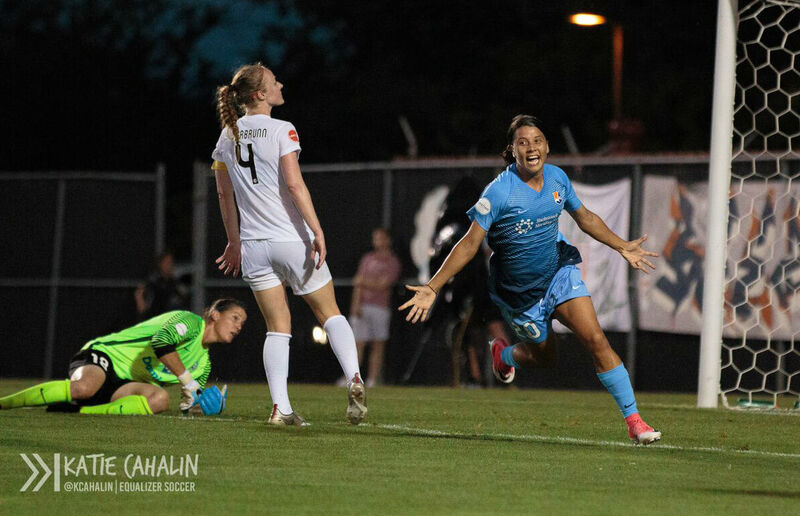 Kerr, who’s made headlines this past week, scored a hat trick over the weekend to lead Sky Blue to a come from behind home win over FC Kansas City by the score of 3-2. 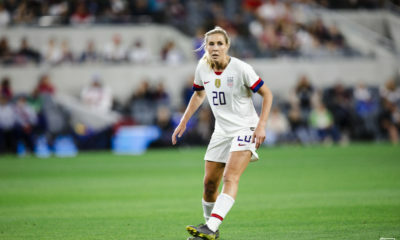 Not only did she score three goals in 12 minutes, but she also became the all-time NWSL leading goal scorer with her 33rd, 34th and 35th goals of the season. Jessica McDonald has 33. 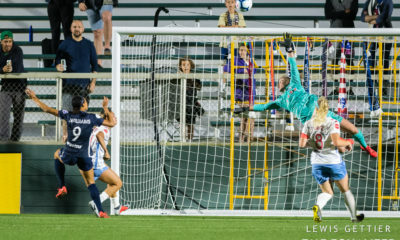 Kerr’s hat trick was the 11th hat trick in NWSL history and the latest started hat trick in league history. This is the second time this season and fourth time overall that Kerr has earned NWSL Player of the Week honors. 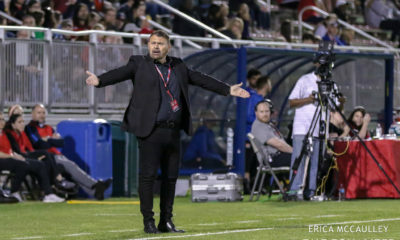 Sam Kerr and Sky Blue FC return to the pitch on Saturday to take on the Chicago Red Stars from Yurcak Field in New Jersey. Kick off is slated for 7 p.m. ET. 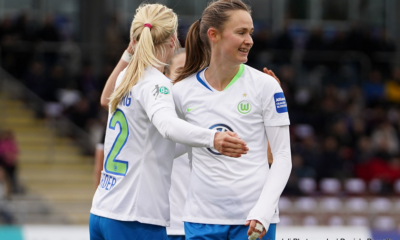 After seven years away, Bayern Munich welcomed forward Mandy Islacker back with open arms as the German international signed a three-year deal with the club as was announced on Tuesday. The 28-year old is set to join Bayern Munich from Frankfurt where she spent the last three years. She scored 41 goals in 62 appearances for Frankfurt and won the golden boot the last two seasons. 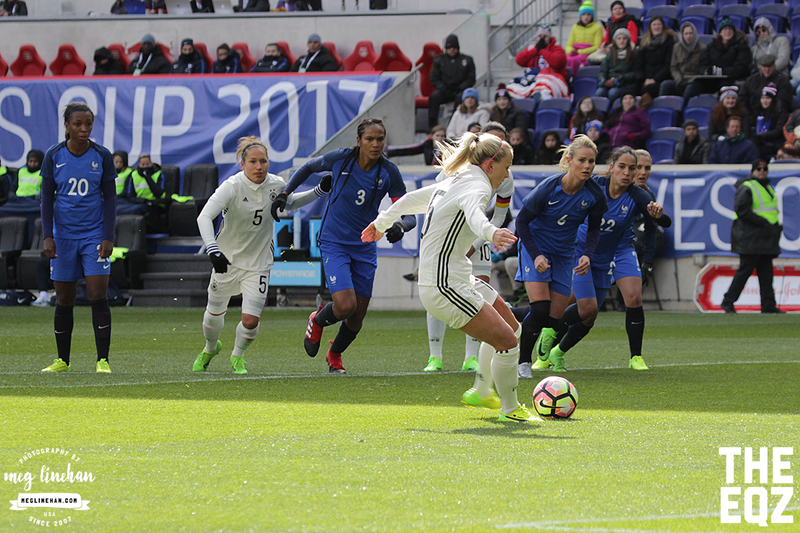 In 2015, she helped Frankfurt win the UEFA Women’s Champions League, notably scoring a late goal to give her side a 2-1 victory over Paris Saint-Germain. Before Frankfurt, Islacker spent time at both BV Cloppenburg and FCR Duisburg, both of the Bundesliga. From 2007-2010, she played for Bayern Munich and scored 17 goals in 31 appearances during her stint with the club. Before the Bundesliga kicks off, Islacker will be representing Germany at the EURO championships set to start later this week. We’re delighted to announce that forward Mandy #Islacker has returned to @FCBfrauen. ? Weiden+Kennedy, a creative agency that works on the Nike brand, created a new crest for the Netherlands women’s national team that will display on their uniforms for the first time at the EURO championship’s opening game when they face Norway on July 16. The Royal Dutch Football Association (KNVB) in partnership with Weiden+Kennedy Amsterdam and Nike will introduce this new crest for the Netherlands women’s team, known as the Oranje Leeuiwnnen (Orange Lionesses), that displays a lioness (adapted from a lion) in celebration of the team and to inspire a new generation of female players with a symbol that unites them. 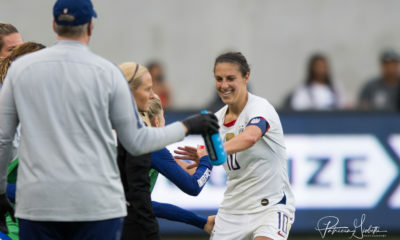 The women’s team, which was first named the Lionesses 46 years ago, had worn the same crest on their shirts as their male counterparts until now. In further promotion of the crest change, a social media campaign will roll out as well to allow the players to unveil the new crest and engage with their fans.